Bord Na Móna Growise Water Retaining Gel Crystals to compost and the will absorb up to 400 times their own weight in water. The water slowly releases into the compost to be taken up by the plant roots. Proven to reduce the frequency of watering. 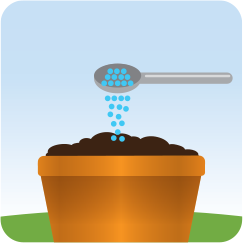 The easy to use water retaining gel crystals slowly release water to plants. Proven to reduce the need for watering during hot spells from every other day to just once a week. 1. 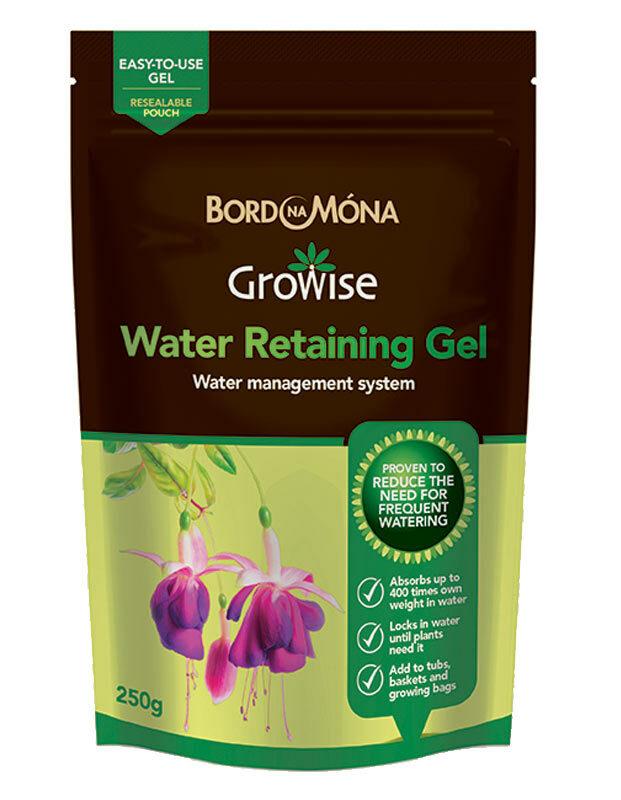 Measure out required Bord Na Móna Growise Water Retaining Gel. 2. Mix thoroughly through the compost. 3. 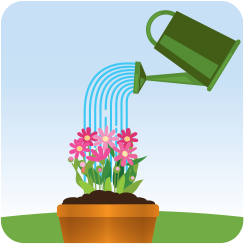 Plant up, then water well. Repeat watering after a few hours to ensure the crystals are fully charged. Use a teaspoon to measure out the required dose. 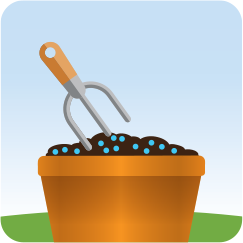 1-2 teaspoons per 10L of compost. This pack contains 2 x 400g individually wrapped packs plus a 5ml measuring scoop. At the end of the growing season, compost containing these crystals can be reused in the garden or added to the compost heap.